Meanwhile, Ren Kavanagh has no notion of where he comes from. He is plagued by strange injuries that appear from nowhere and everyone is convinced he is deliberately harming himself for attention. Then he meets the enticing and mysterious Trasa, and before he can figure out how it happened, he is in serious trouble – arrested for arson and possibly murder. Rescue will come from a completely unexpected direction. Ren is about to discover more about his origins than he bargained for, meet the twin brother he never knew he had, and discover nobody is what they seem, especially his new friend, the half-faerie, half-human Trasa… Amergin’s daughter. Jennifer Fallon’s newest series follows psychically connected twins Darragh and Rónán who were separated as children and live in different realities: Darragh in an alternate reality where the Boadicea signed a magical treaty with the Sidhe and defeated the Romans, and Rónán (Ren) in our world where the Romans won. 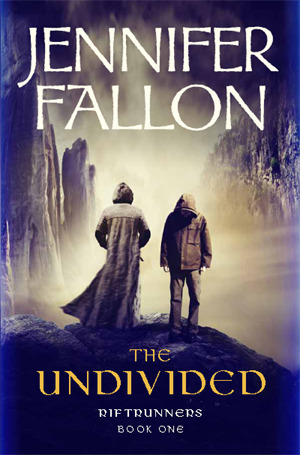 Fallon is able to examine a host of interesting issues by placing her two protagonists in such different worlds and weaves many complex story lines into a seamless whole. In Darragh’s world the Druids are able to wield the magic of the Sidhe through generations of psychic twins, but dissenting forces separated the twins at the age of three, in hopes of breaking or endangering the treaty. Brought up amongst the Druids and thrust into a leadership role at an early age, Darragh generally exhibits more maturity and presence of mind than his twin, who is a typical angst ridden teenager in our world. Neither has led a particularly easy life, and although they share mannerisms and view-points, the twins have vastly different personalities and I like them both for different reasons. 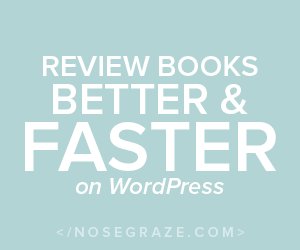 The characters in the book are nuanced and enjoyable to read – there are no absolute binarities in the story and every character is motivated by what they think is the right cause. Even Marcroy, who initially separated the twins, believes he saved the world by doing so. I liked Trása, who was sent by Marcroy to prevent Rónán from finding his way back to the world be was born in, even though she is more than a little naive and exasperated me a lot, because she has noble intentions and wants to help those around her. In contrast, Hayley, Rónán’s best friend, is really annoying, seeing all females as threats and acting irrationally jealous anytime there’s a girl around him. The alternate reality offered by Fallon is mystical and well-imagined, portrayed through lush descriptions and attention to detail. It did remind me a little of Traci Harding’s world in The Ancient Future, but only because both books explore the branching off of English history around the time of Roman invasion. I love the inclusion of the Sidhe, and the treachery, magic and intrigue that accompanies them, especially the adorable but slightly creepy Leipreachán, Plunkett. The magic is neither overt nor distracting in the book and arises naturally as a vital component of the world. Fallon has integrated this magic seamlessly into her story, as is her trademark, and I will always admire the skill with which she achieves this. Jennifer Fallon has given us another spell-binding story, and as usual I am left in awe of her writing. I highly recommend The Undivided to all fans of Fantasy, especially Australian Fantasy, and also to those looking for a story with a difference. As for me, I am greatly looking forward to reading the sequel, The Dark Divide, which was released earlier this year.